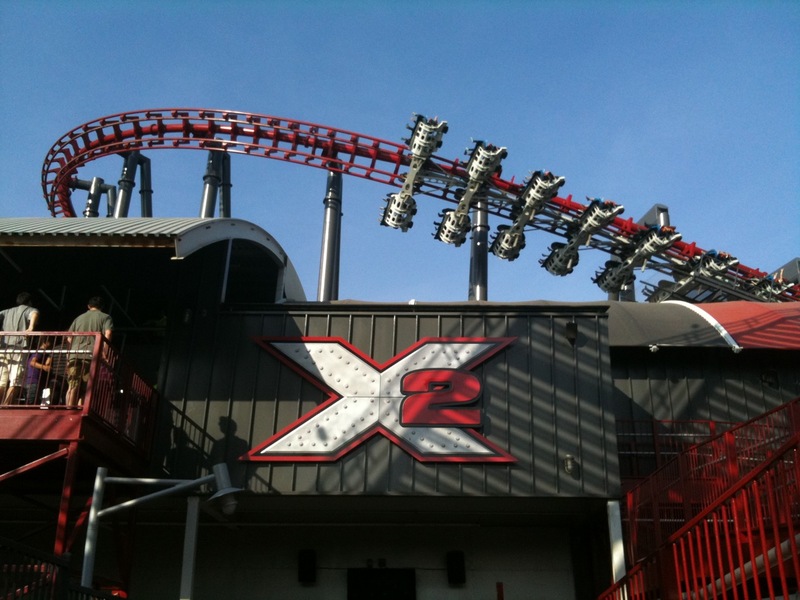 Today we've learned the ground-breaking 4th Dimension Coaster, X2 located at Six Flags Magic Mountain will be down for an unknown length of time. For the last week Screamscape has reported the coaster to be down. Six Flags Magic Mountain has reported that the lift hill chain is being replaced and that they have no timeline for when repairs will be completed although they have stated the ride will not be open during their 'Fright Fest' event this season. It may not reopen again until possibly the winter holidays. This is yet another ride of Six Flags which has gone through big problems this season, the most notable being El Toro at Six Flags Great Adventure which complete blew out it's lift hill motor earlier this season causing it to be down for an extended period of time. Nor is Six Flags alone in having broken attractions, this season hasn't been kind to the roller coasters of the US. Cedar Fair has also had massive problems with rides including Intimidator 305 at Kings Dominion. What is causing these problems? We're not sure. Could it be a lack of maintenance or perhaps just the huge stresses these rides are under? The parks aren't reporting that much so we're left to speculation and curiosity. Will 2015 see another rash of broken attractions? X/X2 has always seemed to have had a history of breakdowns from what I've seen and heard from works. For being Six Flag's premier park, it always amazes me that something seems broken all the time. Your not the first I've heard this from nor do I doubt you'll be the last. They seem to have a real problem with maintenance although I can't say if some of it is scheduled or just downtime. We won't be in California till March, hopefully by then it's running again as well as most of the others! Here's to hoping!